PayLink™ is designed to help reduce the time to market for PC-based platforms. This innovative product reduces costs and makes it easy to configure peripherals. It means that new applications can be developed without having to create custom payment software. PayLink was developed in consultation with leading machine manufacturers with the dual goals of reducing the development & manufacturing cost of PC-based machines and bringing them to market in the shortest time. 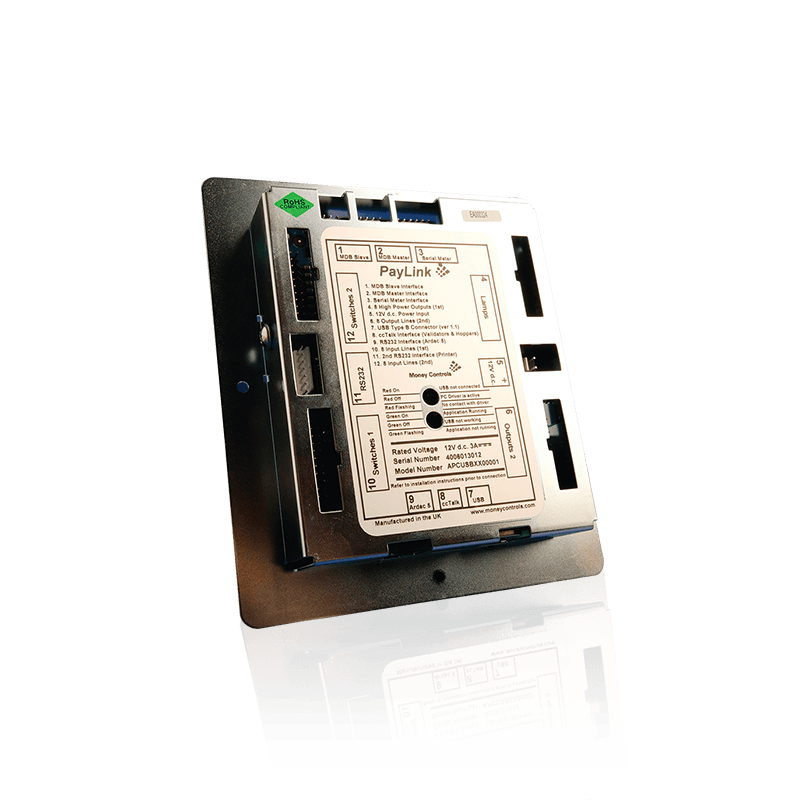 PayLink is a module that connects to a USB port on a PC and operates as a standard “Plug and Play” peripheral device.